I've played my fair share of business simulation games including the quirky Pizza Tycoon and others back in the day. They're clever enough games that really get you in the right mindset for business, albeit typically in a more humorous way. 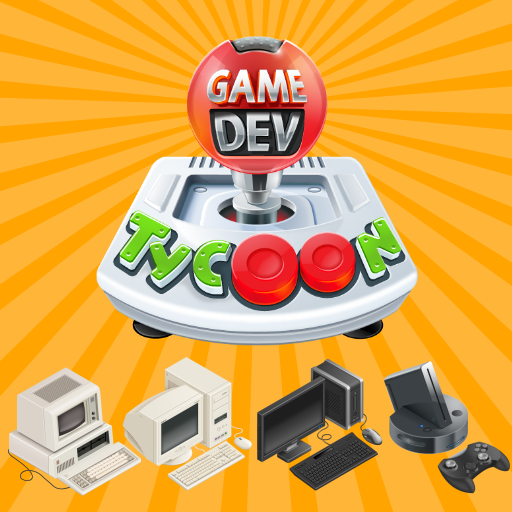 And it's probably my nostalgia for such games that prompted me to pick up a copy of Game Dev Tycoon during one of the more recent Humble Sales. I wasn't quite sure what I was getting into, but at the time the game was cheap enough to wash away all guilt over spending money on yet another game. This game turned out to be a lot more fun than expected, although still nicely challenging, as is the case for many such "tycoon" games. Plus it was a quaint little indie game purchase, and it's always fun to support the little guys. Game Dev Tycoon is a business simulation game developed by Greenheart Games, which is ultimately brothers Patrick and Daniel Klug. The game places you shoes of a struggling game designer who starts his own company out of his garage in the 1980's. Generally following the progression of computers and console games, your challenge is to keep pace with the developments out there and continue to create games that will earn you money and help you upgrade to bigger things. In time you'll be able to move to an actual office and hire additional staff to help you do the work, and thus also allow you guys to create bigger and more ambitious games. At first your options are pretty limited both in terms of topics for your games and the very types of games that you can create. In time, you'll be able to unlock more options with the research points and cash that you accumulate throughout the game. Beyond game topics, you'll also need to take advantage of new technology including improving your sound and graphics coverage and to make your games more complex with better dialogue or multiplayer options. As you progress, you'll encounter little decision points that you'll have to serious consider. For example, you can later take on contact jobs that help you earn more money for your company, but that means you stop creating games during that period. You can also hook up with a publisher in order to come up with larger games, but you have to agree with their conditions for the game including their selection of topic and game type along with a minimum review score that it needs to achieve. The most novel aspect of the game is the fact that it sort of mirrors real world console and computer development. Although they rename and reskin all the different consoles, there's no questioning things like how the PlaySystem is obviously the PlayStation. And you can't churn out game after game on every single console - there are different licensing fees that you need to pay up front in order to create a game for that particular unit. And all those costs can really add up. The game has a pretty tricky learning curve and I went bankrupt a few times during my first few playthroughs. Even with my knowledge of which consoles did well and which didn't, that's still not enough to fully determine what types of games you need to make. But you do learn more and more about how the game is programmed to view different game topic and type combinations that can be retained during your next playthrough of the game to help makes things a little easier. Or you can just go online and look for a wiki that appeals to you. The game is pretty simple, so don't expect much from the visual interface. As much as things are nice and clean, your character and his/her employees really won't do all that much apart from type away at their keyboards and maybe sip from their always full mugs of coffee. That really ties into the indie feel for the whole experience and can be a good or a bad thing, depending on your perspective of things. I think my only complaint is probably how the game relies on certain preconceived notions in terms of which types of games work for which platforms. Instead of creating a more dynamic game engine where your success may follow a different path compared to what has more or less happened in the world today, you end up playing up to tropes and stereotypes. For example, you're bound to develop an Fantasy RPG most if not all of the different consoles only because you know it's a surefire equation for success. In this aspect, I wish the game introduced more randomness in possibly allowing players to learn what the players of this artificial world like instead of following tropes. On the whole, Game Dev Tycoon is a simple but rather lovely game that still eats up a lot of my free time as I try to get to the "end game" phase of things. Some may find the challenges nicely rewarding and fulfilling while others may find it all repetitive and pointless. But that's just how games are and this is why the game rates a good 4 strange media reviews out of a possible 5.